The MobileMount is a universal mount/kickstand for virtually any hand held device with a flat surface, like smartphones and tablets. Comprised of two twist-to-lock suction cups and one ball joint, this device’s unique design allows for superior suction and durability. The Twist-to-Lock suction cups can hold devices for weeks at a time rather than simply a few hours like other competing mounts. 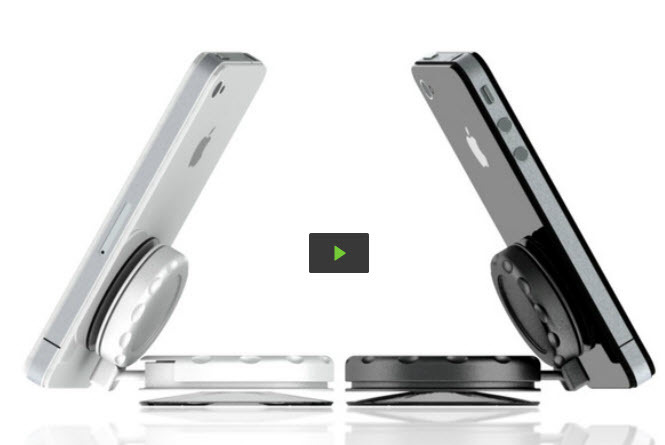 Additionally, the “Patent Pending" universal design allows for users to mount their phone without removing the case.